After years of experience using multiple platforms and devices, there’s one thing I’ve learned–screens on mobile devices freeze and/or becomes unresponsive every once in a while. There are various reasons this can happen. Sometimes you might be using an older iPad or iPhone with the most recent version of iOS, and the user experience isn’t always ideal. Sometimes you have a rogue app that isn’t behaving like it should, and the OS hiccups. Whatever the reason, until you’ve been faced with the predicament yourself, you might not know exactly what you can do to fix it. The first option to remedy the situation is to force your iPad to restart. In my experience, this process tends to fix most situations, and it is really easy to initiate. A forced restart will work even if your iPad screen is black and non-responsive. To trigger a forced start press and hold the Home button and the Sleep/Wake buttons at the same time until your device restarts. Continue to hold this button combination until the Apple logo appears on the screen. Your device has now restarted, and most likely will be behaving appropriately once again. What else can you do if a forced restart doesn’t work? In the rare occasion that your iPad still won’t respond after a forced restart, don’t worry, you still have options. First, try plugging it in, and let it charge for up to an hour. After you plug it in, wait a few minutes until the charging logo appears on your iPad screen. If after an hour you still don’t see the charging logo appear on your screen, try alternate charging cables and power adapters. What if your device turns on, but gets stuck during start up? There are even more rare instances where your iPad restarts, but gets stuck during the restart process. You could potentially see an Apple logo, or a blue or red screen after your iPad is restarted. If this happens to you, try connecting your device to a computer running iTunes and initiate another forced restart, but this time keep holding the button combination after the Apple Logo appears. This will now place your iPad in recovery Mode. 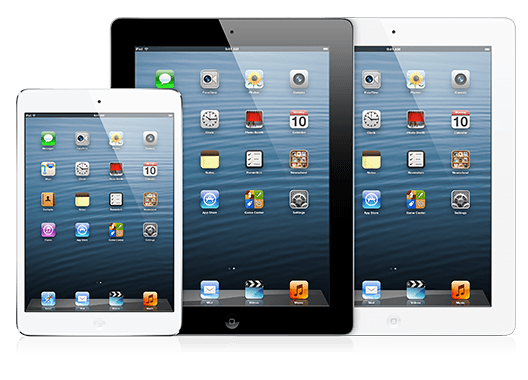 In Recovery Mode you will be presented with the opportunity to restore or update your iPad. Now choose to update your iPad, so that iTunes can attempt to reinstall the latest version of iOS onto your iPad and still maintain the integrity of your data. Other Options? Contact Apple if you still have any of the following issues. 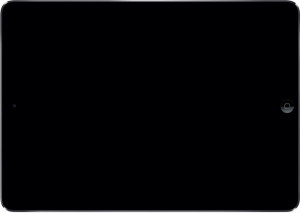 You see a black screen, but can hear alerts, sounds, and vibrations. Your screen is on, but it doesn’t respond to when you tap, slide, or try other gestures. You can’t force your device to restart because your Home button or Sleep/Wake button is broken or stuck. Great tips. If they don’t work, it is best to take the device to a professional. Thanks for sharing!